Whether you are new to the sport of sailing or an avid racer, Sistership has a program to fit your needs. Sistership is a member school of the American Sailing Association. ASA schools must meet rigorous standards which are internationally recognized. 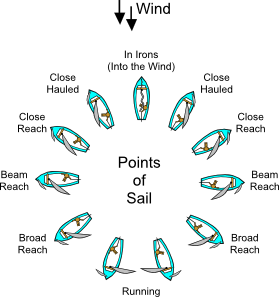 Beginning course covering nomenclature, boat handling, sail trim, points of sail, basic knots, safety procedures. Covers basic cruising skills including anchoring, mooring, docking, weather, chart reading, basic navigation. Learn to skipper a cruising boat in coastal waters. Study boat systems (including electrical, plumbing, engine), troubleshooting, emergency procedures, general maintenance. Includes advanced coastal navigation skills, tide and current tables, running fixes, fog navigation, danger bearings, compensating for current set and drift and more. Night time sailing and electronic navigation, heavy weather sailing, advanced safety procedures. Learn to handle a 30-48' cruising catamaran, both under sail and under power. For those of you sailors wishing to become instructors, Instructor Evaluator Pat Nolan offers an ASA instructor course on Tortola in the fall. Check with ASA for dates.